Describes a tart or sour taste in the mouth when total acidity of the wine is high. "Tart" and "twangy" are two descriptors for acidity. Usually refers to the particular smell of the grape variety, i.e., "appley," "raisiny," "fresh" or "tired." The weight of wine in your mouth; commonly expressed as full-bodied, medium-bodied or medium-weight, or light-bodied. A tasting term used to describe the smell of the wine as it matures in the bottle. The taste that remains in the mouth after swallowing. A long finish indicates a wine of good quality. The viscous droplets that form and ease down the sides of the glass when the wine is swirled. The amount of time the sensations of taste and aroma persist after swallowing. How a wine feels in the mouth and against the tongue. The feel and taste of wine in the mouth. A wine to drink (not sip). Describes a wine with overly pronounced acidity. This is often apparent in cheap red wines. A lighter style, fresh, easy to drink wine. Indicates that the fruit, acid, wood flavours are in the right proportion. A wine is well balanced when none of those characteristics dominates. 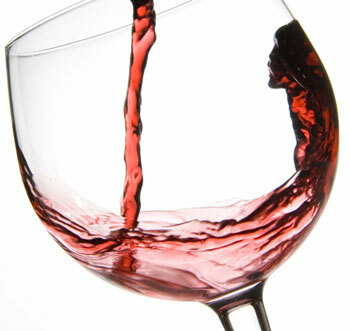 Wine not in balance may be "acidic," "cloying," "flat" or "harsh." A wine that is full-bodied, rich and slightly alcoholic tasting. A wine with top-notch distinguishing qualities. Denotes a fresh, young, wine with good acidity. Describes wines that are concentrated and have character, but are shy in aroma or flavour. A full-bodied wine rich in extracts with a pronounced finish. Describes a wine that combines all flavour and taste components in almost miraculous harmony. Used to describe light- to medium-weight wines with good flavours. Describes a wine that has concentrated aromas on the nose and palate, desirable in young wines. Refers to the maturity of a wine. Describes a wine of grace, balance and beauty. Describes a wine that is losing colour, fruit or flavour, usually as a result of age. Lacking acidity on the palate. Having low acidity; the next stage after flabby; or refers to a sparkling wine that has lost its bubbles. Describes a wine that is subtly harmonious and pleasing. Describes a wine without outstanding characteristics, good or bad. Describes a strong, intense, powerful wine. Describes a full-bodied, intense and vigorous wine; possibly inflated. Describes a well-balanced wine in fruit, tannins and body. A wine that is appealing. Describes a wine that does not remain on the palate after swallowing. Describes a wine with few characteristics that follow the initial impression. Not necessarily unfavourable; often describes an inexpensive, young wine. Describes a wine with low acid/tannin, or alcohol content with little impact on the palate. Describes a wine with well-balanced tannins and fruit characteristics.